WRITTEN BY CHUCK DIXON; ART BY WILLIAM ROSADO AND KEITH CHAMPAGNE; COVER BY PHIL NOTO. 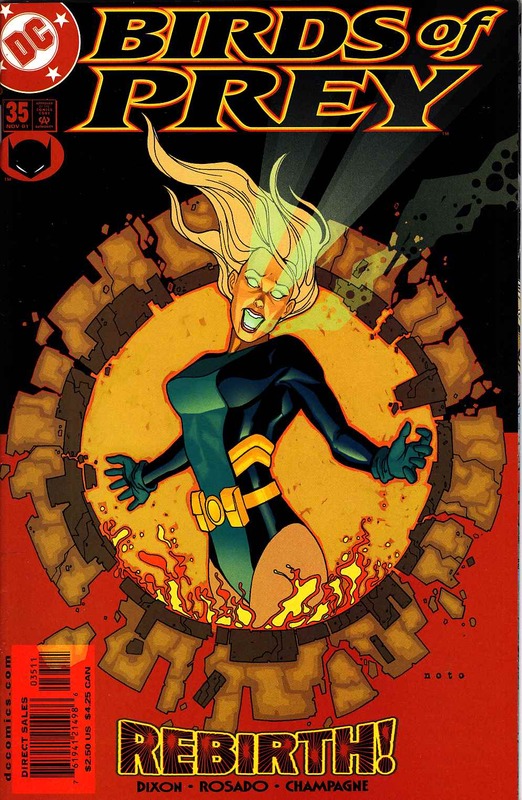 Oracle, Power Girl, Blue Beetle, and Militia have arrived to rescue Black Canary, but they're too late! Ra's al Ghul is on the run, but how much running can a centuries-old guy do, anyway? The walls are coming down and it looks like Dinah's gonna get squashed...unless she can make it to the Lazarus Pit! It's the climactic conclusion to our star-crossed story of love, betrayal, death and rebirth.